It was HQ No 53 Base from 14 Nov 1943 until 15 Nov 1945. It is now known as Cologne/Bonn Airport. It was a sub-station of No 31 Base from 26 Apr to 25 Aug 1943, although No 33 Base HQ began forming here on 12 Aug, when it became HQ, No 33 Base, remaining as such until 1 Sep 1945. 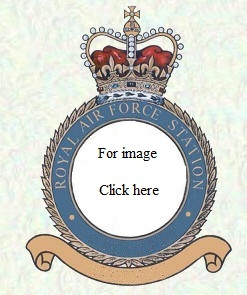 In July 1993 the station was handed over to the Army Air Corps. From Nov 1958, Weeton parented RAF Warton, No 29 Recruit Centre (Preston) and the Air Traffic Control Unit at Preston. It was used to house competitors for the 1948 Olympic Games. By 2011 the site had been completely demolished. Opened as a civilian airfield in 1930. The site has subsequently been used by Short Brothers to service RAF Varsities and Chipmunks. In 1972 it was used as a reception centre for Ugandan refugees and many of the buildings are used by the Tonbridge and Malling District Council. It is now home to the International Helicopter Museum. # This unit was located in the town of Weston-super-Mare. It is now home to the West London Aero Club. It is now Wick Airport. It was initially a satellite of RAF Binbrook and then a sub-station of Binbrook/No 12 Base from 1 Jul 1943 until 1 Oct 1943, when it became a sub-station of No 14 Base until 25 Oct 1945. It was a sub-station of No 51 Base from 15 Mar 1943 to 3 Nov 1944, when it was transferred to No 7 Group, becoming a sub-station of No 75 Group until 1 Oct 1945. The first of the 'Clutch' stations constructed near the Dutch border. The domestic site is now Javelin Barracks, whilst the airfield is used by Siemens AG as a railway testing centre known as Wegberg-Wildenrath Test Center. It was a sub-station of No 61 Base from 1 Aug 1943 - 9 Nov 1944, when it was transferred to No 7 Group as a sub-station of No 76 Group, remaining as such until 1 Sep 1945. Runway declared operational on 15 September 1943. It was fitted with FIDO. 4,120 emergency landings were made during WW2. On 13 Jul 1944, a German Ju88 fitted with the latest Liechtenstein SN-2 radar landed at the station by mistake and was captured intact. Initially opened as a satellite for RAF Coningsby, it became a sub-station of Coningsby on 1 Nov 1943 and a sub-station of No 54 Base from 1 Jan 1944 to 15 Nov 1945. An area near the village was used as a Home Defence night landing ground by 37 Sqn from Dec 1916 to Jan18 and 75 Sqn from Jan to Oct 1918. It was a sub-station of No 31 Base from 30 Apr 1943 to 1 Nov 1944. It is now a German Air Force Station. **Detachment dates indicate that a detachment(s) took place at some point between these dates. unless stated otherwise.